Dear sir I have purchased a flat in my name two yrs back but builder gave possession without obtaining Completion Certificate hence it’s Registry wasn’t done at the time of possession. Now it’s registry is due, . My question is can Register my flat in joint name ie in my son’s name and my name- is joint registry possible if it is purchased by single person please guide and oblige. HI WE PROVIDE MOST AFFORDABLE LEGAL SOLUTION AS PER YOUR REQUIREMENT. FEEL FREE TO CONTACT ME FOR ANY LEGAL ADVICE. WE CAN CATER TO ANY TYPE OF LEGAL PROBLEM IN ALL COURTS. 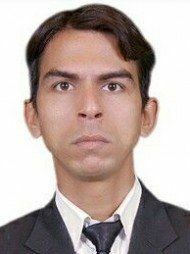 DR ANUPAM KUMAR MISHRA ( ADVOCATE). What to do when owner not ready to do registration nor refund money?